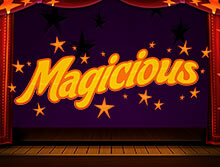 Magicious is a video slot created by Thunderkick. Magicious will transport you to an era of magicians and voodoo dolls. This ethereal game features a total of 10 paylines along with 5 reels. Magicous features a spectacular magic show at its backdrop along with magic tricks that shows dazzling wands and confetti. The theme of this game is to conjure up exciting prizes using the divine magic of the game. As you open this game, you will see that the two main characters ‘Illucious’ and ‘Magicia’ standing alongside the reel. The reel of this game features things like magic boxes which are suspended in thin air and magical balls. 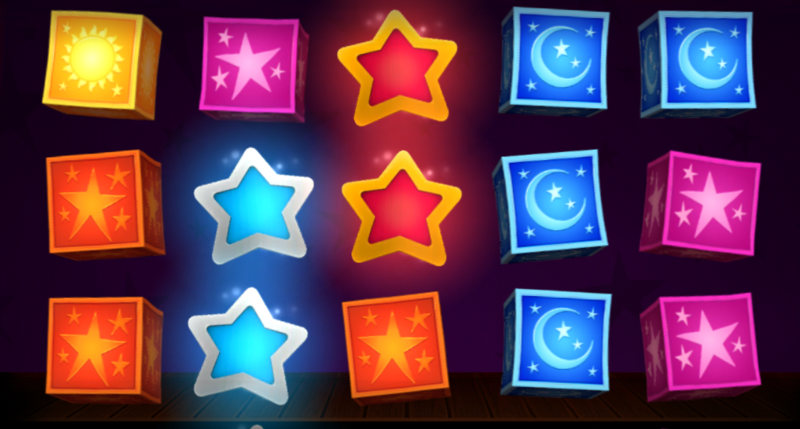 Magicious is a simple yet magical game that will render with a bunch of exciting prizes. Magicious, with its graphics, gameplay, bonuses, and theme song, impresses us greatly. But when it comes to the RTP or the Return to Player factor, is it still good? Well, to inform you, the RTP of the Thunderkick creation is a decent 97.6%. It is definitely higher than some of the games you’ve played but not the highest. Nonetheless, the RTP is noteworthy. Now the Jackpot size of this game is as high as 4000 coins. This alone is a very appeasing factor of this game. Other important features of this game are that to be able to play this game you can use a coin of min size of 0.1 and a max coin size of 100. You can play Magicious from a starting amount of 10p which can go as high as £100. Another thing to notice about this game is that you can win slots from both sides - left and right. Symbols of Magicious are all the more magical and mystical, resonating with the whole theme of this game. Magicious obviously features the two main characters, Magicia and Illucious. Along with these two magicians, you will be able to witness the following - 5 colored boxes which feature magical drawings created on their front, a yellow sun and a blue crescent. Other symbols you will witness are orange and pink colored stars along with a green plant. The goodie bag of Thunderkick is always filled with treats for online gamblers and players. This game is a superb creation which has beautiful graphics. Magicious feature old theatre vibes which add to the charms of this game. The theme song too gets a brownie point for being so congruent with the magical theme. The Thunderkick video slot game has some decent amount of features in store for you. Expanding Wilds: This feature is actually a wild symbol. When expanding wilds are triggered they expand on all of the three rows. Due to expanding wilds you can avail free spins. When expanding wilds arrive on your reel they act as symbols and may appear on reel 2/3/4. Expanding wilds appear in forms of glowing pink sphere like orbs. Win Two Ways: This feature, as discussed above, spread from both sides - right and left. This means that the winning combo can be triggered from both sides. When you trigger a combo, either of the magicians - Magicia or Illucios will whip their magical wands and transform your combo into a cash prize. These are the two important features of this game. When they trigger in your game you can yield a substantial amount. The other two important symbols are the two stars which are red and blue in color. With them, there are a few wild symbols like the purple orb which is radiating. This orb is also indicative of a bonus. And that’s about it. One may think that Magicious lacks more bonuses, which is true in some ways. This game lacks those conventional free spins feature or any other similar bonuses. Magicious does more on its appearance hence creates a balancing effect. But the inclusion of a few more bonuses will never hurt the rating and popularity of this game. On the brighter side, the expanding wilds maintain the pace of this game which is definitely a rich gaming experience. The variance is also low which a plus point in this game is. Magicious is a luscious looking game which operates at a fast pace. The game becomes all the more exciting when you are matching winning combos and triggering more bonus features. Magicious by Thunderkick will be compatible with all of your devices like PCs and smartphones. The game functions like butter on any operating software as well. If you luck out, the stunning magicians may whip their wands and conjure a big chunk of payout for you. The game has low variance and decent RTP. Its jackpot is handsome, hence making this game a pretty good deal.